Mrs. Norma Louise Jolly, 84, of the Tunnel Hill Community in Fleming County, passed away Sunday, September 16, 2018 in the Fleming County Hospital. She was born on August 3, 1934 in Nicholas County, Kentucky, a daughter of the late John Cecil Mynear and Mary Saunders Mynear. Mrs. Jolly was a homemaker and a graduate of Nicholas County High School. She enjoyed quilting, sewing, crocheting, reading and going to outings. 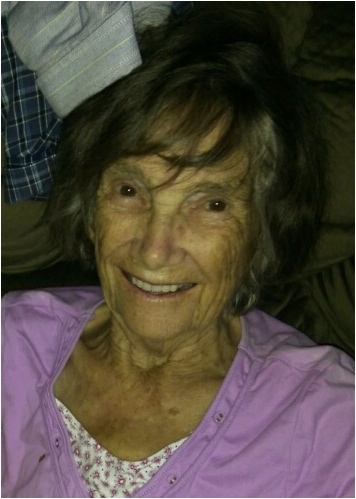 In addition to her parents, she was preceded in death by her husband, Donald W. Jolly, who passed away in 2012, son-in-law, Donnie Ray Bretz and two sisters, Gertrude McGuire and Elizabeth Mynear. Survivors include one son, Johnny Allen Jolly of Tunnel Hill, one daughter, Loretta Kay Bretz of Moorefield, two sisters, Irene Mynear of Cynthiana and Mildred Gifford of Carlisle, brother-in-law, Robert McGuire of Cynthiana, one granddaughter, Julie (Tony) Kerr and two great-grandchildren, Leah Kerr and Bentley Kerr. Funeral services will be conducted at 2:00 P.M. Wednesday, September 19, 2018 in the chapel of the Price Brothers Funeral Home in Elizaville. Visitation is after 12:00 Noon Wednesday at the funeral home. Pallbearers will be Everett House, Danny Curtis, Larry Adamson, Ronnie Ritchie, Robbie Carpenter and Ralph McGlothin.